I had a great time in San Antonio this past week! Alamo City Ghost Tours was a very informative and enjoyable tour. If you check out their link, you can see they advertise a few different tours while you are in San Antonio. Unfortunately, I was not able to go on the Cemetary one as they are not offering that one at this time to individuals, only to large company groups so that they can charter the bus. With the economy being what it is, it has become difficult to conduct some of these tours. This particular one I did get to go on however was $15 and we walked just over a mile. J.R., our host, was a complete treasure of information on the old history of San Antonio. I loved to hear the stories that he told at each location! At the start of the tour, he goes over the equipment that he hands out to EACH person, mostly IR (InfraRed) Thermometer guns to use for the night. You can get them on Amazon for about $30.00. He also handed out a few EMF detectors as well. You are allowed to take still photos but no video and no EVP recordings as he does not want anyone to record his tour. I can't blame him for that and also it would be near impossible to do a proper EVP session what with all the people. We went to many of the more famous historical locations and some that are said to be haunted and also to a few that I had not been to before. This was more of a ghost tour than a hunt. 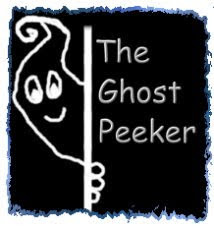 I have to keep reminding myself that whenever I go on a local tour that does not limit people, that it is going to be more of a tour and not a ghost hunt. It is definitely worth $15 just for the history and great stories alone! Plus, it gave me an idea that when next I am in San Antonio, I will have a few spots of my own that I will want to go and visit during the day during my own walking tour. I had also inquired of the Mission Tour as San Antonio has several missions, not just the Alamo. But again, due to the economy and how it is set up, this tour group was not offering the Mission Tours at this time. Thank you J.R. for a really great tour! I enjoyed it immensely! And thank you for the inspirations!